Throughout more than 25 years at Asbury University, Lisa has worked in multiple areas, including public relations and admissions. She has helped recruit students, brand Asbury, welcome new presidents, create promotional events at ICHTHUS, design materials, and plan reunions. As Director of Alumni Relations, she welcomes, honors, invites and purposely engages alumni in order to renew, refresh and reconnect them to Christ, each other and to Asbury. 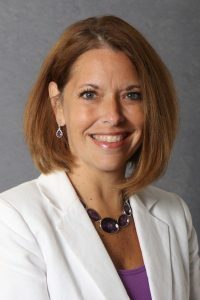 She encourages alumni to remain connected to Asbury University and invites them to participate in regional gatherings, campus events and Reunion. This last, a “homecoming” of more than 1,200 alumni, family and friends is a beloved tradition at Asbury and continues to be the premiere alumni event of the year. Lisa celebrates alumni, valuing the transformational experience that happens when one says yes to the Asbury encounter. “The sun never sets on an Asburian, as they literally serve all around the world,” Lisa said. “It is a privilege to watch our alumni in action, being salt and light in a broken and needy world. This Asbury community is rich in its faith and obedience to follow closely after the heart of God. It’s exciting to be an Asburian!” Lisa believes in the integration of faith and learning and wears her purple proudly.